It was a Saturday well spent. 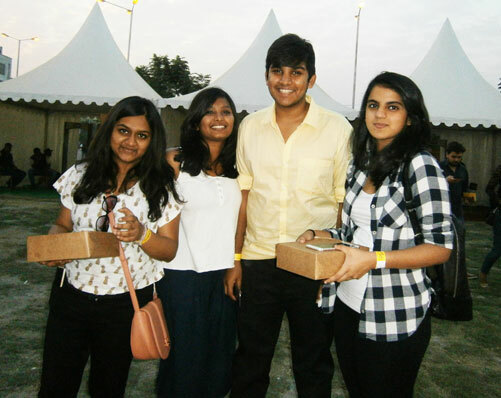 Having decided to visit The Grub Fest just 2 days back was not a bad decision after all. 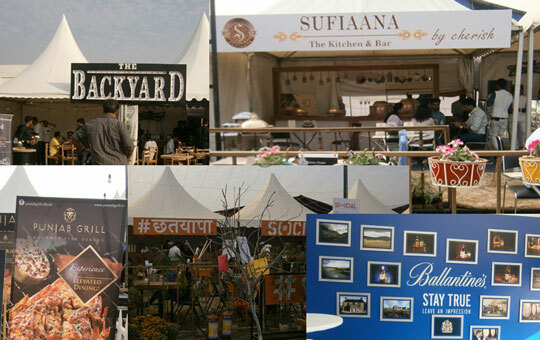 We decided to visit the Fest for 2 reasons – taste good food and acquaint ourselves with the new and big names in the F&B industry. 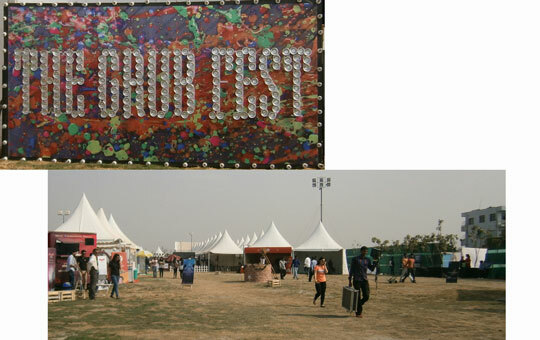 The footfall was quite decent when we reached the venue but towards the evening the crowd got bigger and bigger. As we entered the Fest, Lyall Farm Store to our left caught our eyes. We were enamoured by the sheer sight of an assortment of home-made pickles, pinni, jaggery, brown rice and candies that were on display. Ms Pavit Sidhu Puri who runs the store was a cordial lady and she explained to us that the ingredients used in her products are all fresh farm produce which her mother-in-law cultivates in their farm near Chandigarh, without using any pesticides or chemicals. The best part in her pickles is that lemon is the only preservative used in it and it is prepared in very less or no oil at all. The store also sells Amla candies, Ram Laddoos under the brand name Lyall’s Traditional Flavours. 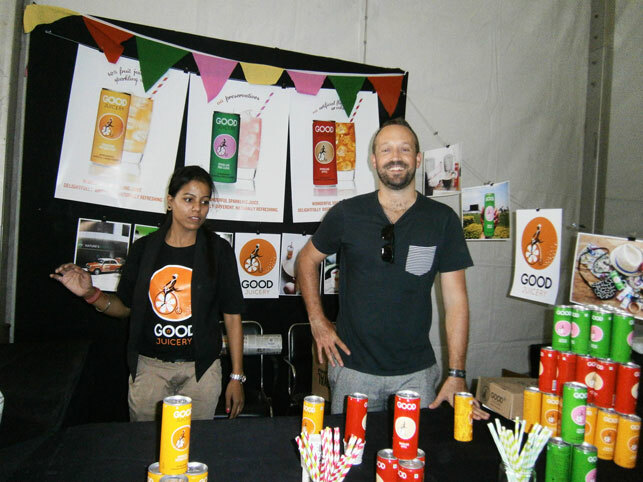 The stall next to it was put up by Good Juicery, a Pune based sparkling fruit juice manufacturer. Its products are available in 3 flavours – pink guava, passion fruit and apple and contain no artificial colours and preservatives. The brand already has its presence in Delhi, Bengaluru, Kerala and Mumbai, besides Pune in many of the hotels and top stores. As we walked past the stalls, a girl came up to me and handed me a sample of a green tea bag packed in a shiny sachet. 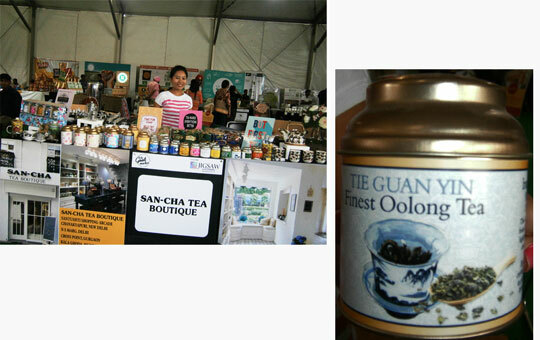 A tea-lover that I am, I visited the stall to have a look on the different tea samples exhibited. It had on display a vast collection of tea sourced from major tea growing regions like Assam, Kangra, Darjeeling and Nilgiri, right from Green tea, Masala Chai tea, white tea to Herbal tea and Oolong tea (a combination of green and black tea), packaged in beautiful tanchoi bags. 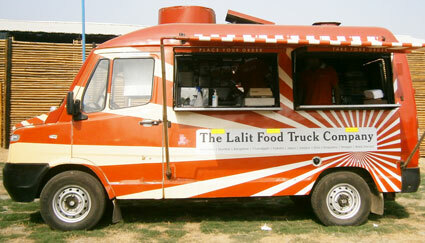 We were reaching the main grounds when our eyes fell on the red-coloured The Lalit Food Truck Company. Created around the concept of offering food on the go, it goes around town selling food and one can check on their website where the truck would be stationed on that particular day. It has 3 such movable trucks running in Bengaluru and Mumbai besides Delhi at present and plans to extend to places like Chandigarh, Udaipur, Kolkata and Jaipur in times to come. I had a Jamaican Jerk Chick Burger as this was their specialty that day. We sighted another Food Truck (but this time yellow-coloured) at a distance. As we neared it, we read the name – Eggjactly. 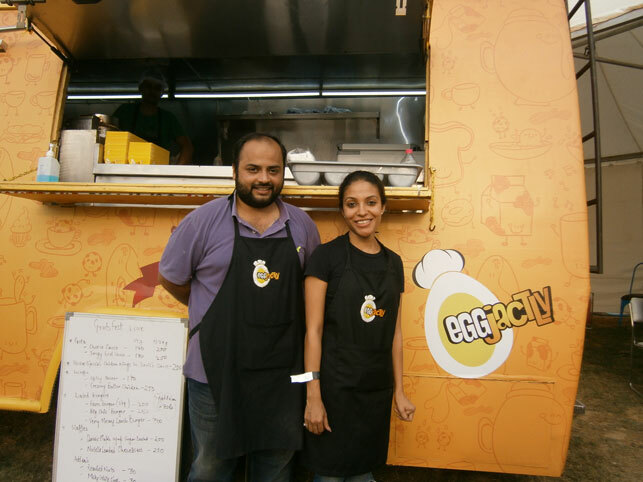 Launched in January 2015 and having started its journey from Gurgaon, Eggjactly serves American fast food and as the name suggests with egg as the common ingredient. So starting with American Wraps, Pita Pockets, Omlettes, Waffles, Pancakes Crepes & a variety of Shakes/Desserts, Eggjactly offers everything American. 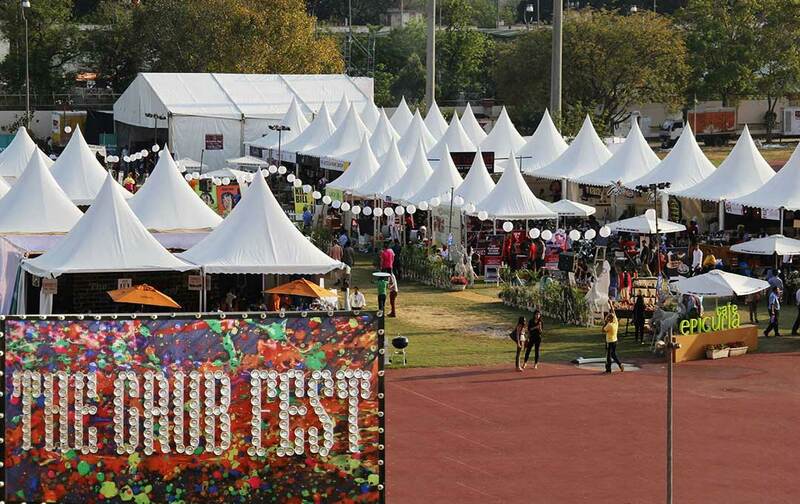 The Grub Fest besides bringing all the big names from the F&B industry together also served as a launch pad for many of the newer brands that have already been launched or will be launched in the coming months. 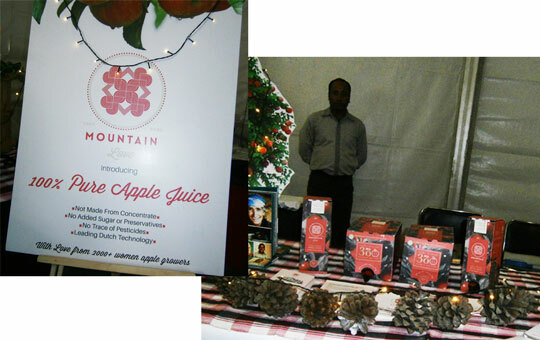 Mountain Love is one of those brands that specialises in producing 100% pure apple juice using state-of-the-art technology and is launched just a few months back. It is a social enterprise that promotes local women apple cultivators from Uttarakhand (around 2000 in number) to become owners of their apple value-chain and is a part of the larger parent group – ‘The Apple Project’. The attractive packaging of the product with a vacuum seal on it is a means to promote it as a Diwali gifting option to customers for their loved ones. 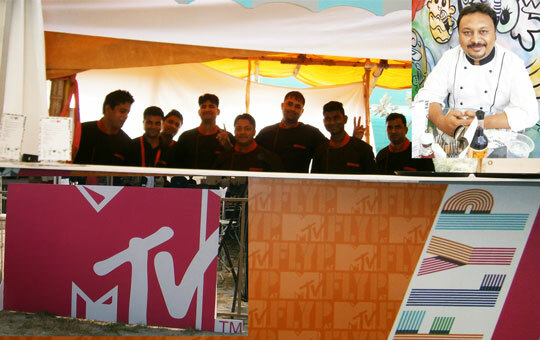 FLYP By MTV that will be launching its first store at Connaught Place in Delhi also was one of the many new brands participating at the Fest. 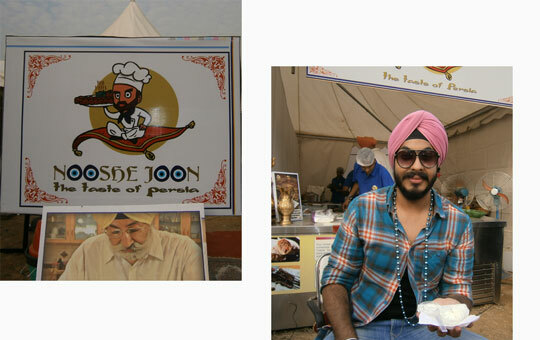 The brand that will have Ranveer Brar as its Culinary Director also had a good brand presence before its launch. The store will come up sometime after Diwali and that this is the first time MTV is starting a brand in food and beverage. The name FLYP suggests that it will offer everything with a flip and will not follow the same course. 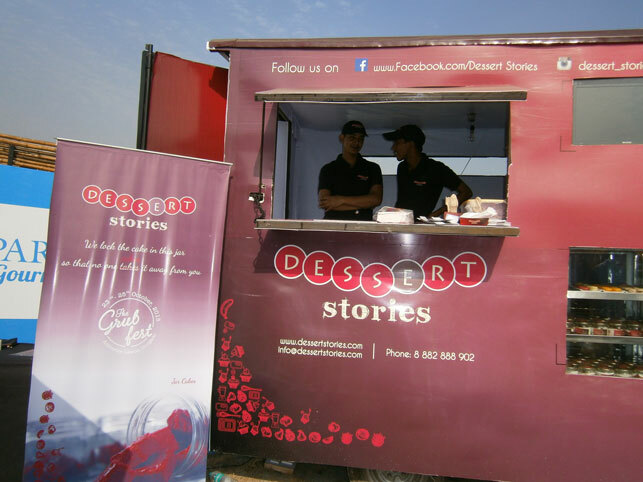 Another brand that we came across was Dessert Stories that is launching itself for the first time at the Fest. With varieties ranging from Macarons, Cannoli, Jar Cakes to Ice Cream Sandwich, Dessert Stories gives you a unique blend of dessert offerings to choose from that would certainly make anyone’s day. 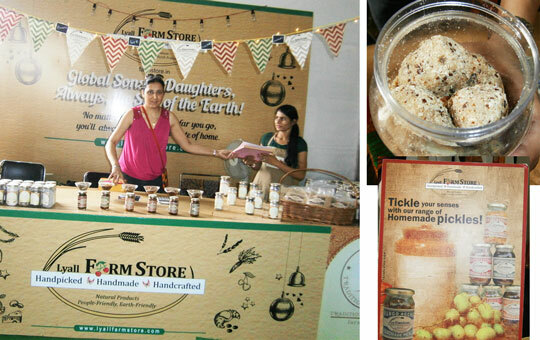 Same goes with the Food Farm Company that we chanced upon while going through the new names at the Fest. The brand specializes in offering preservative-free spreads, dips, sauces, seasonal drinks and cup cakes, native to Middle Eastern and Italian cuisine using natural ingredients. 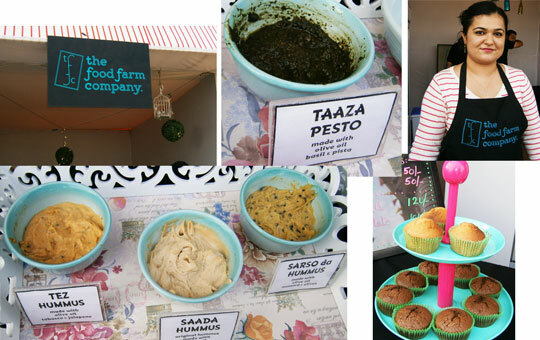 So whether it is Hummus, Pesto or Tzatziki, the Food Farm Company is just the name. 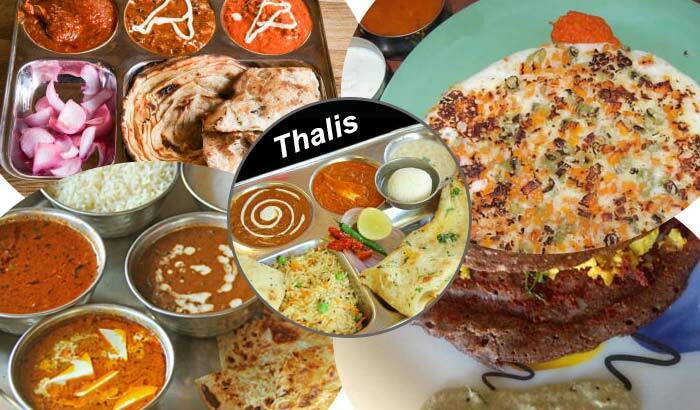 The mention of Tzatziki also reminds of Nooshe Joon, another restaurant brand that is coming up within Delhi and will specialize in Persian origin food. So whether it is Chelo Kabab (marinated in saffron and Iranian onion for 24 hours), grilled tomatoes and chillies with melted butter or Zafrani chawal, you can experience authentic Persian cuisine sitting in Delhi. We tasted Tzatziki dip again but this time in an Iranian style, topped with crushed walnuts and black raisins. We also got to experience imported dates from Iran that can otherwise be had with Irani Special Chai. Daanesh Anand, who is one of the co-owners told us that Nooshe Joon in Persian means to eat to one’s fulfilment of the soul and that the same principle will apply to their brand too. While Bagrry’s is a known brand for breakfast cereals and health food, the company is coming up with its bakery products under the brand name of Bagrry’s On The Go very soon. 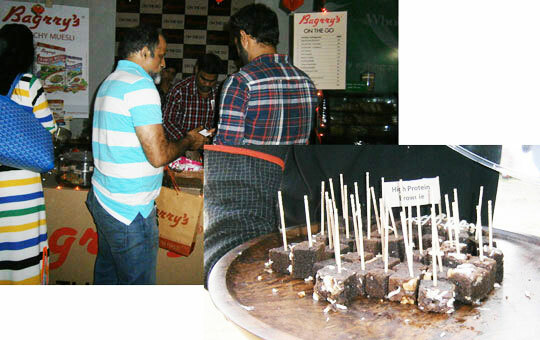 The brand extension announcement of Baggry’s went well at the Fest as the people visiting it got to experience and taste their products before their formal launch. With 0% Maida, the new product line will have a whole range of products like Protein cakes, Brownies, Wraps, Sandwiches, Pastas, Muffins, Granola Bars and cookies, offering a healthier choice to customers. In the middle of the grounds, stood The Grub Stories, touted as Asia’s first, high-end multi storey travelling restaurant (an approx. 60 feet high property) with a terrace bar, modern interiors and exquisite decors providing a 360 degree view of the festival. It offered the finest Modern European cuisine with the menu was curated by Chef Mousim Sidana. We also had the opportunity of savouring Thai food at DAO, famed for offering the best Thai food, where the Head Chef took time to interact with us and made us taste one of his famous dishes Crispy Fish in Thai Chilly sauce. 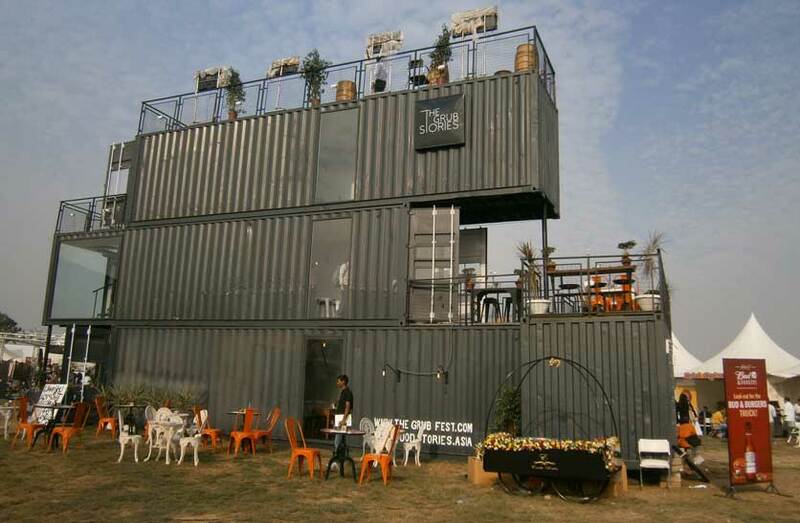 Besides, there were other renowned names like Punjab Grill, Olive Bistro, SodaBottleOpenerWala, Social, Indigo Deli, Fio, Smokeys, Urban Pind, Koyla Kabab, Holy Smoke, Karims, The Backyard, Zerzura, Imperfecto, ATM and PCO, Mamagoto, Hybrid, Fat Lulu’s, Fork You Too, The Kathi’s, Asian Haus, amongst others that were a part of this foodie paradise. 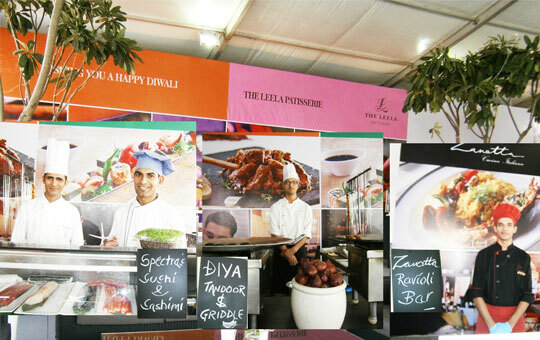 If this is not all, the Fest had also roped in Chefs from top restaurants of the country to hold culinary workshops and share recipes of their signature dishes at the festival. 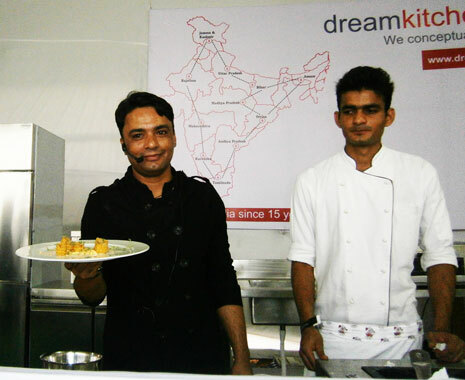 Some of the Chefs included Aditya Bal, Ranveer Brar, Nishant Choubey of Dusit Devrana, Jaydeep Mukherjee of Indigo Deli, Akshay Malhotra of Welcome Hotel ITC and so on. 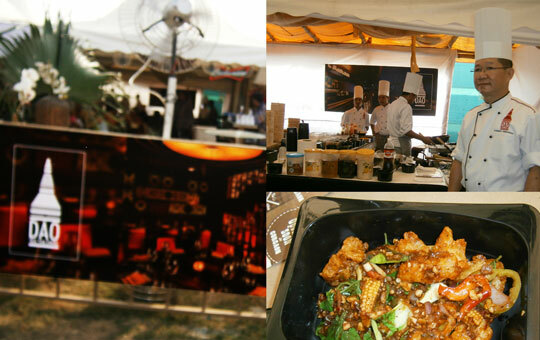 The entertainment quotient was also high at the Food Fest with a number of live performances taking place simultaneously in order to keep the atmosphere stimulated. Known names from the music industry gave their performances on the stage, leaving the audience craving for more. Walking through the Fest might have left many exhausted. 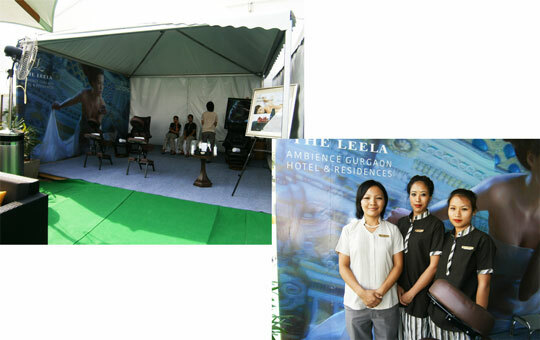 The Leela Ambience Gurgaon had created a special ‘Luxury Zone’ at the Grub Fest that offered relaxing spa experience at its Pevonia Spa to those who wanted to rejuvenate themselves. We went in for a session and came out feeling quite relaxed. 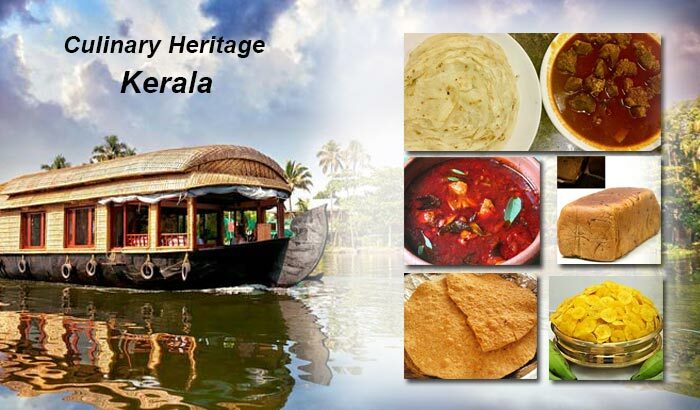 Besides, the Zone also offered super-fine dining experience at its unique Japanese (Spectra), Italian (Zanotta) and North Indian (Diya) cuisine restaurant and a golf putting and golf simulations space. While there were a few hits and misses, it was otherwise a well-planned event by bringing together a mix of the best names in the industry. The key take-away from the event was the urge to everyone to eat healthy and go natural, by bringing in brands that embrace pure and natural ingredients. In a lifestyle like today, this has become so very important. Though the turnout was low on day one, but restaurateurs were confident that the footfall will pick up over the weekend. A young group of kids who visited the Fest also had a good experience visiting it. They particularly loved the burgers of Smokey and were overly pleased with the variety that they saw in food. A Fest of this stature surely raises the standard of a food festival and the three day Food Carnival has done it without fail! 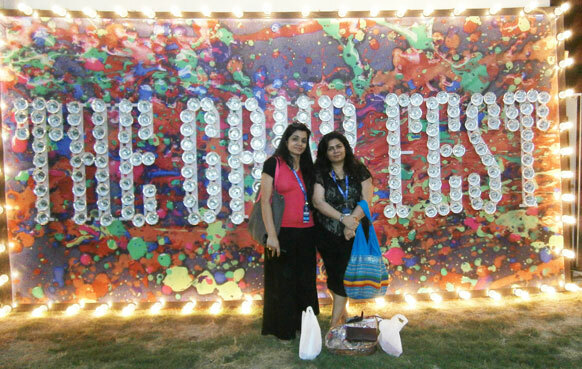 Share the post "The Grub Fest Gurgaon – A Haven for Food Connoisseurs"
It was a good read! Will be coming back to read more. Thank you so much for the lovely comments. We would love to come up with more such informative articles in future. Thank you so much for the lovely comments. We would love to come up with more such informative articles in future, for which your support is always solicited. 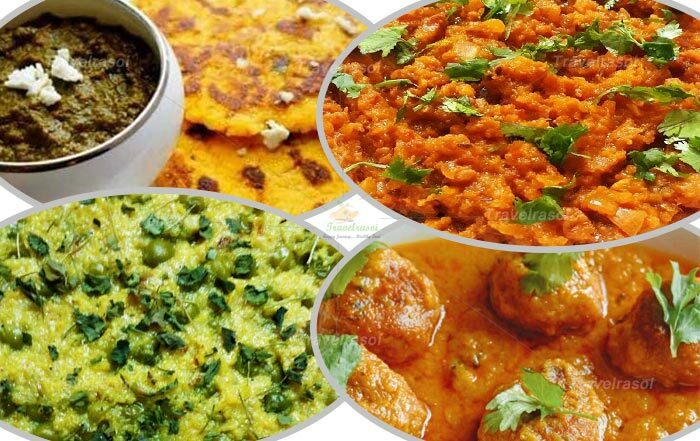 You can also reach us at travelrasoi@gmail.com for any suggestions or feedback that you would like to give to any of our articles.